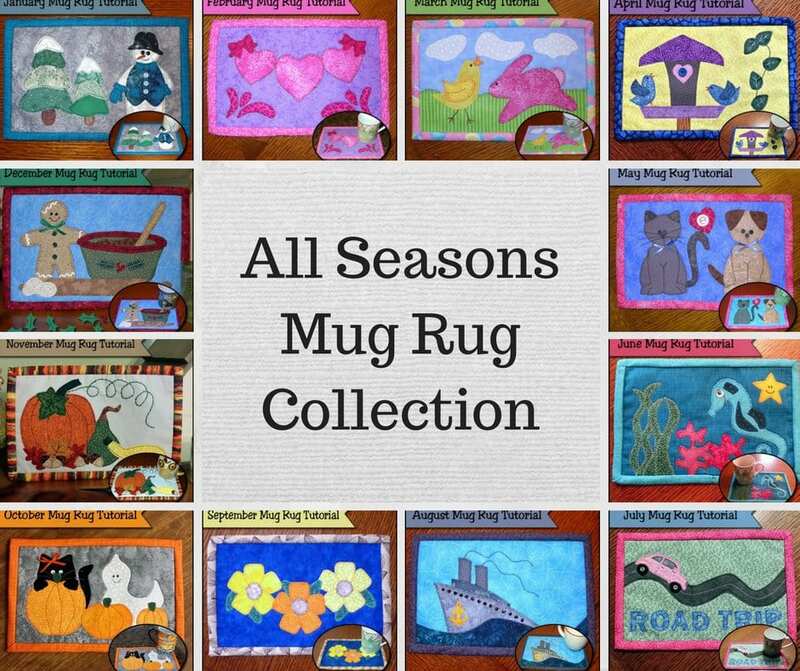 Each free pattern in the mug rug series is accompanied by detailed step-by-step tutorial which you can find our site. If you’ve never tried mug rugs, I’m sure you find one here that will make you want to give it a try.Mug rugs are essentially small quilts and they employ many of the same techniques used in quilt making. If you want to get started in quilting, having a go at a mug rug would be a great place to start. Find the full Tutorial Collection Here!